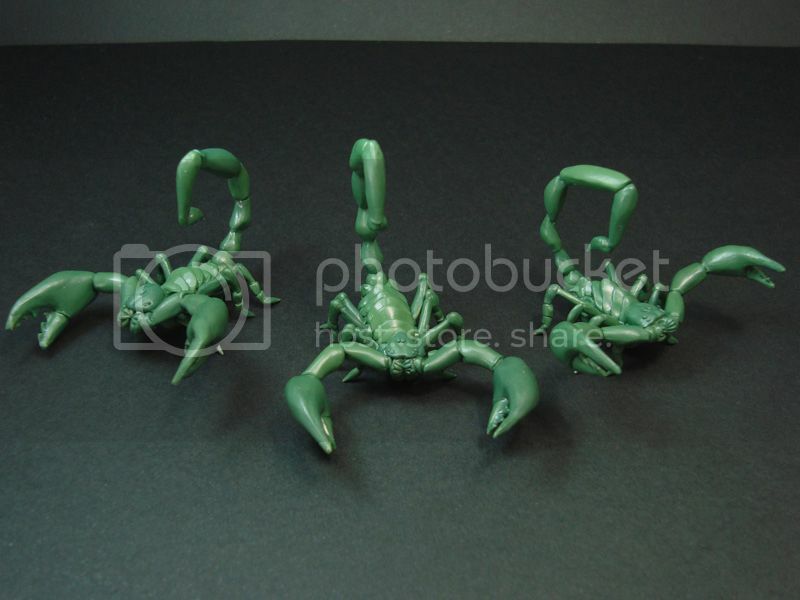 Just finished sculpting some new miniatures for Otherworld Miniatures and this time I had the goal to sculpt 3 scorpions. 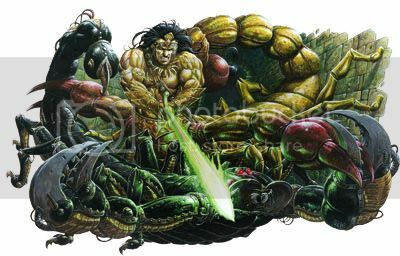 So I mixed my greenstuff and started making some giant scorpions, not to exotic or strange but just generic scorpions to fill up your Dungeons Crawlers or your RPG's or even just use them in generic fantasy games of your preference. 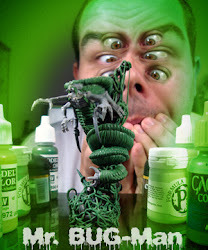 They are specialized on 28mm miniatures for the role-player with lots of really cool dungeon monsters and I had the pleasure to make some of them in the past ( I will post them here one day). Good stuff in there for all to check out. 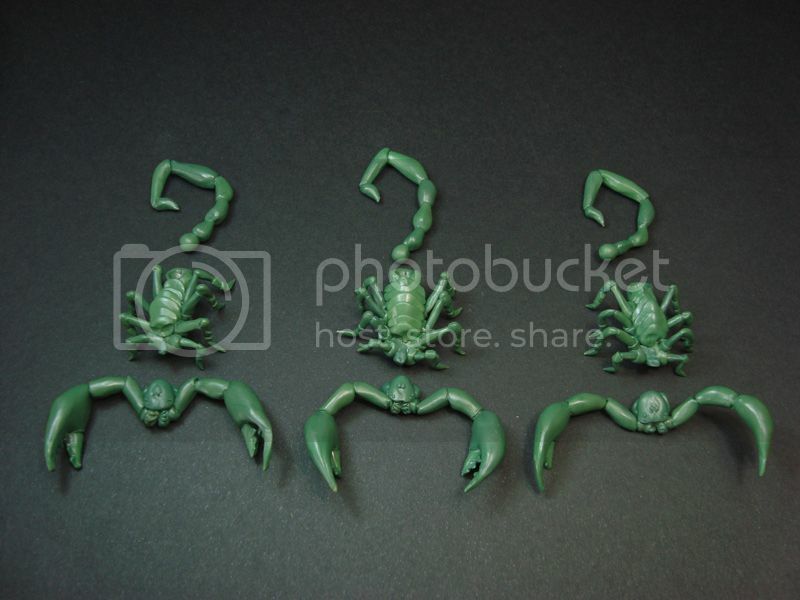 I guess that scale wise these scorpions that I just did will fit 30mm bases and as such they are good for 28mm as giant scorpions but they can also fit 15mm as some Clash of the titans huge like scorpions. Here's a scale picture with one of the scorpions based on a 30mm black base, this way you guys can figure out the scale of these little bugs. 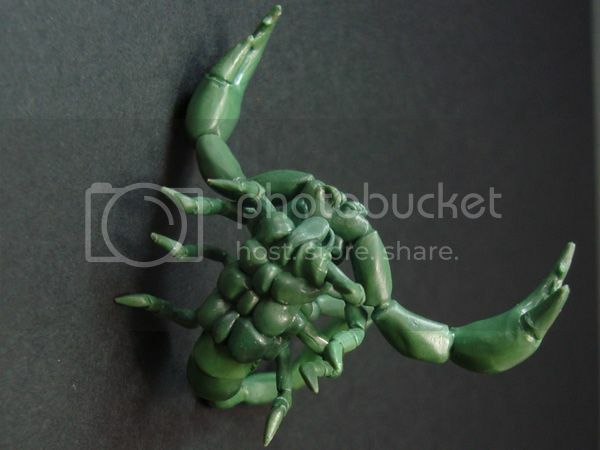 The tail is one of the most prominent features on the scorpion so a little change on the pose here and there will make a big difference on the final model appearance. 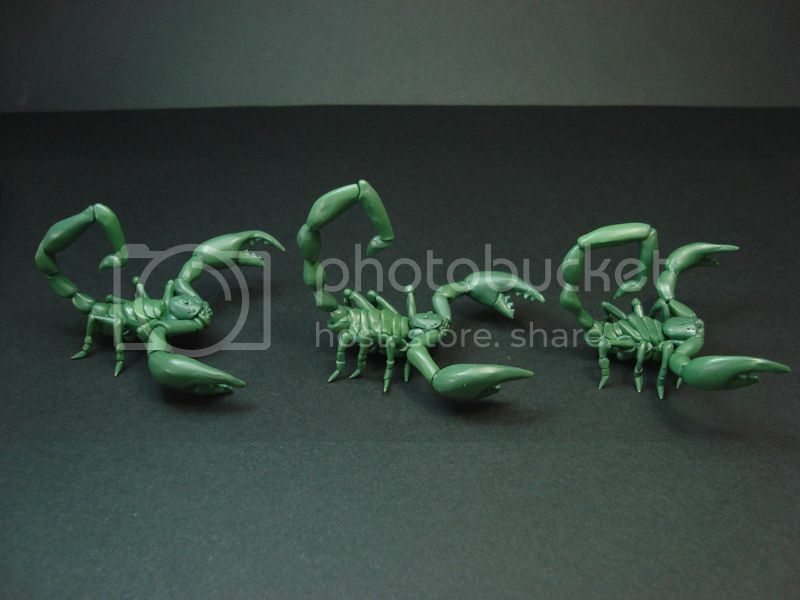 I hope you enjoy these Scorpions, for me it was a blast to sculpt some more bugs for Otherworld Miniatures... Happy Dungeon Crawling adventures! Are there any giant bats in the near future? That would be great. No, I mean it. In an industry that sometimes seems dominated by cartoonish exaggeration and, one suspects, simple ignorance of an animal's anatomy, these really stand out. Awesome work there. I commend you for not giving them a whole bunch of spikey bits and other goofy exagerations that other sculptors feel a scorpion needs to be scary. 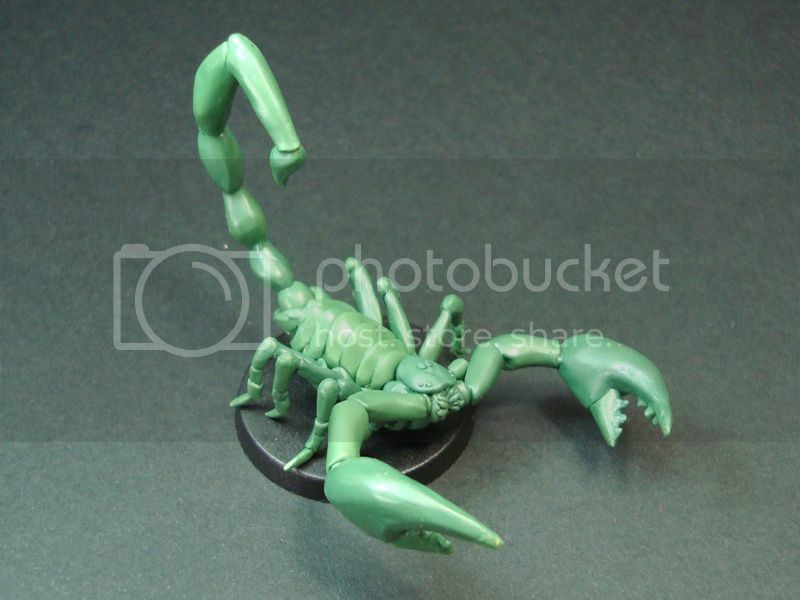 I tried to keep things simple and enjoyable for the painters but also accurate anatomy wise... Also if there's tons of spikes the model loses a bit of the fast&deadly approach and gets more Old&slow kind of scorpion. Any idea when they will be available? First Harook sculpt is finished!